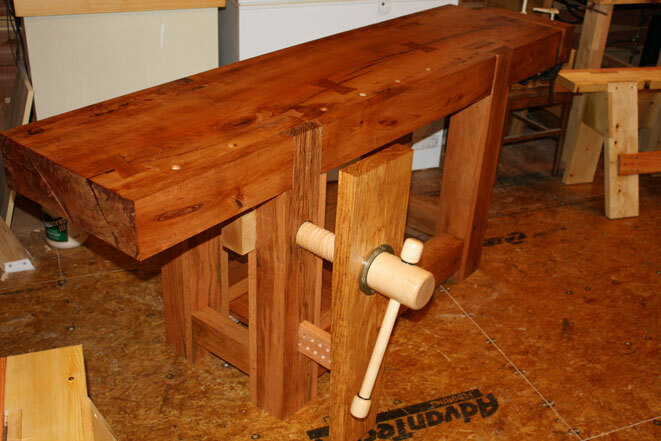 Adding our January 2013 Workbench of the Month from Nickey T. of Franklin, Kenucky to our Lake Erie Toolworks Blog for ease of access and historical awareness. Here are some pics of my workbench for the contest. I like the Roubo design so that is what I went with. 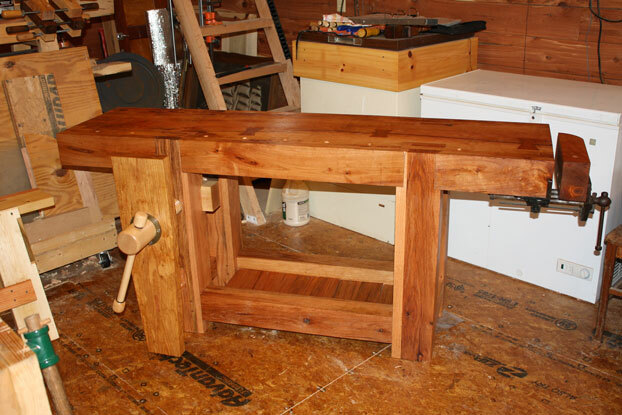 It measures 72″ x 18.5″ x 32″ and is finished with danish oil. The top is from a slab of cherry found at a nearby Amish sawmill, it is 5 1/4″ thick. 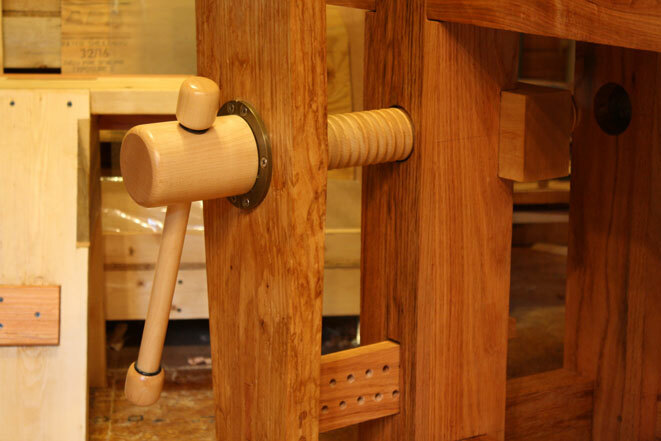 The vise jaw is ash.The rest of the bench is made of red oak which the legs had to be laminated to reach the desired thickness. Stretchers are double tenoned.This was the first project I have done completely using only hand tools so there are some imperfections but it is flat and solid. 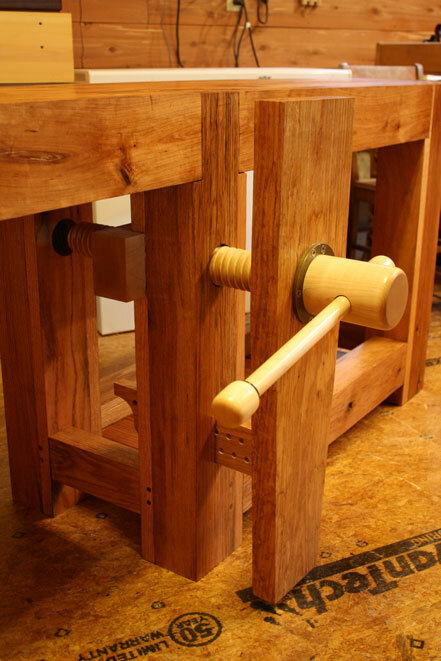 The vise is great, I much prefer it to a vise I have on my old workbench.